It’s Tuesday, the weather is hotting up and the ladies are off fishing, so I’ve started our Ladies who Fish Fashion slot, covering the all important items that a girl can’t live without. This week its sunglasses. 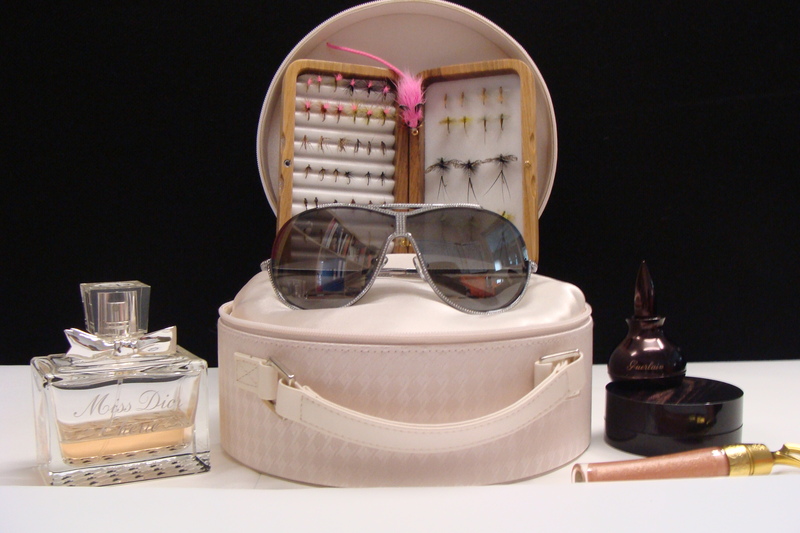 If it is sunny outside the reflection off the water will make it seem brighter when you’re fishing, so sunglasses and sun block are as much a necessity to fishing as are hooks. Make sure your sunglasses are designed to stay on your head. I’ve seen people lean over to look in the water and their sunglasses fall off. Most sunglasses don’t float so will be lost forever, expensive trip if you’re wearing the latest Gucci’s. Your day may end up having to deal with the bright light and squinting without them, that’s just not good a cool look and think of those wrinkles girls!